Papeete is the capital of French Polynesia. Everyone heading to the outer islands like Bora Bora and Moorea for a Tahiti vacation must travel through Papeete's international airport. 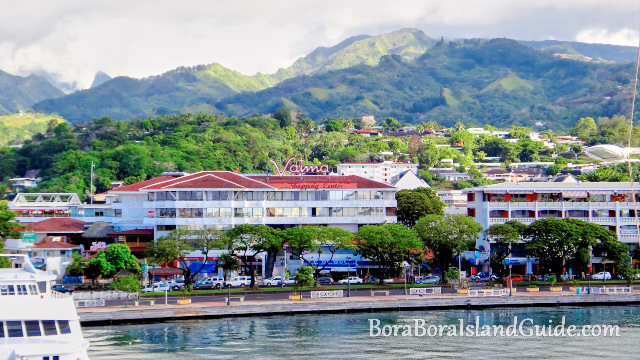 Some people only stop in Papeete for one night, to connect to a flight, but stopping for longer gives you a chance to explore this amazing island of Tahiti! From here you can explore Tahiti’s black sand beaches, go on inner island hikes, swim under waterfalls and visit the terrifying waves of Teahupoo! 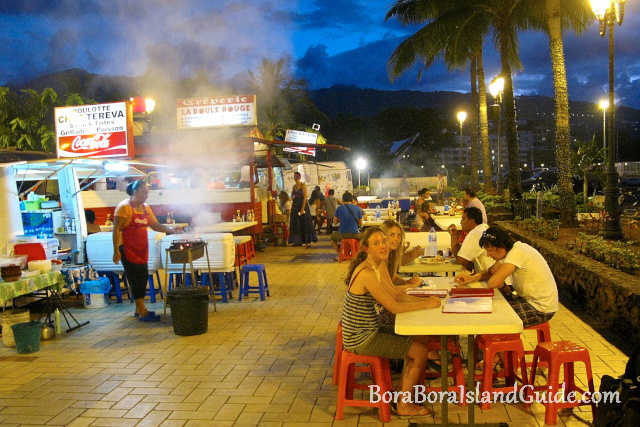 If you want to have and evening on the town, there are restaurants and nightlife near the ferry dock. The Mapuru a Paraita market is a must to see and shop for the largest selection of local crafts and fresh food! Visit the Musee de la Perle to find out more about black pearls, and shop around the black pearl boutiques to find a valuable souvenir. Flights to Tahiti arrive into Papeete airport (PPT). If you are staying overnight to connect to a inter-island flight, we recommend these Tahiti airport hotels. If you are staying on the island of Tahiti for a couple of days, we recommend hiring a car so you can get around to see some of the sites around the island. Here are the best places to stay on the island of Tahiti. Some are outside of the downtown area. An evening visit to the waterfront will show you how the locals eat. You will find a lively outdoor eating market with"roulettes". Roulettes are the Tahitian version of food trucks. They serve a variety of foods, but to go for the Tahitian favourites, try the steak and chips with a roquefort sauce, barbecued fresh fish or crepes. 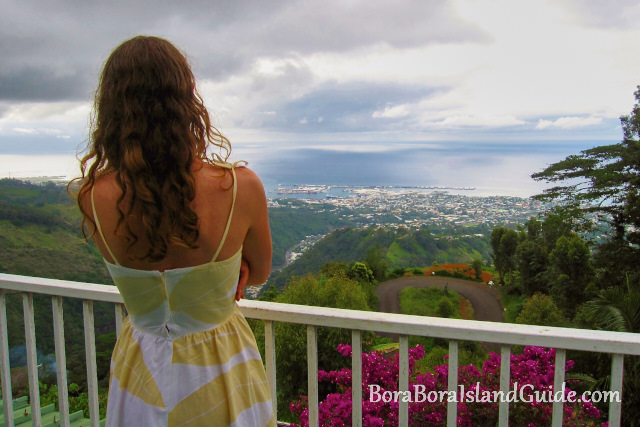 If you hire a car, there are many sites to see around the large island of Tahiti. 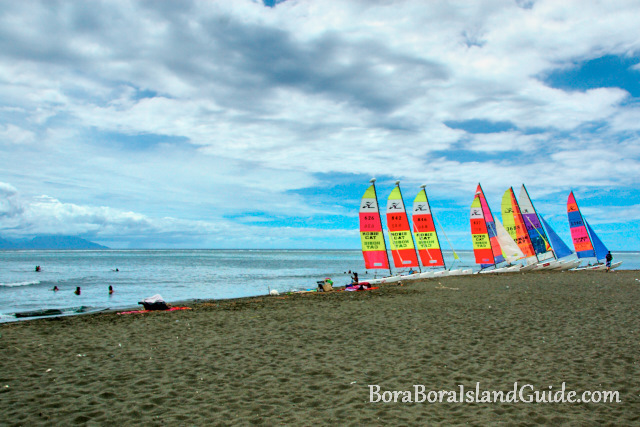 Visit the Point of Venus and it's black sand beach. Take the coastal road south to see the famous surf break of Teahupoo. If you are heading on a Tahiti cruise, your ship departs from the dock in downtown Papeete. There are restaurants, shops, markets and a waterfront park close to the port.